Sources tell us that H&M’s upscale label ‘COS’ is seeking Canadian retail space for free-standing COS stores. It has looked at several retail spaces on Toronto’s Bloor Street, though we’ve been told that no deals have been signed at this time. Sources tell us that Vancouver and Montreal are also on the list for possible new stores, while Edmonton and other Canadian cities may soon follow. For those unfamiliar, COS is H&M’s upscale label offering higher-end materials and more ‘classic’ designs. COS’ designs have been compared to higher-priced fashion labels Marni, Jil Sander and Céline. Launched by Swedish apparel giant H&M in 2007, COS stands for ‘Collection of Style’. Its first store outside of Europe opened in June of 2013. 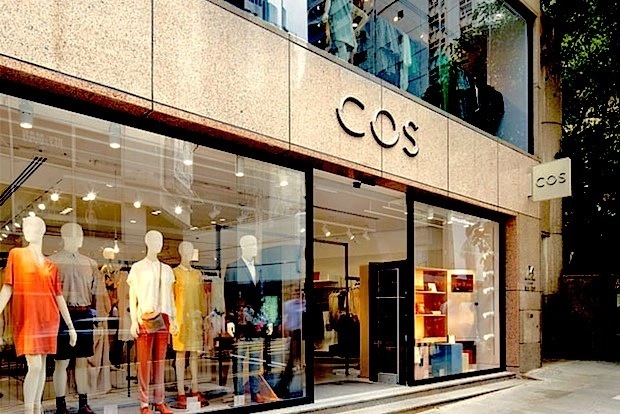 COS currently has 82 stores worldwide and appears to be expanding aggressively as it has recently signed leases to open stores in the United States and Australia. Its first American location will open this April in New York’s Soho district. Posted on February 18, 2014, in #international, #retail. Bookmark the permalink. Leave a comment.